İlham Əliyev 2012-ci ilin ən Korrupsioner adamı seçildi… Təbriklər!! Ölkə başçımız mütəşəkkil cinayətkarlıq və korrupsiya üzrə məşhur narkobaronları belə, geridə qoyur!!! Ilham Aliyev, the President of Azerbaijan, has won the first ever Organized Crime and Corruption Person of the Year bestowed by the Organized Crime and Corruption Reporting Project (OCCRP). The award is given for the person who figured prominently in 2012 on stories on crime and corruption in its coverage area. Aliyev was chosen because of new revelations this year about how his family had taken large shares in lucrative industries including the telecom, minerals and construction industries often through government related deals. The award is chosen by the 60 reporters and 15 news organizations that make up the OCCRP consortium. Runners-up included Albanian drug lord Naser Kelmendi, President of Uzbekistan Islam Karimov and Russian President Vladimir Putin. OCCRP, based in Sarajevo and Bucharest, is a non-profit, consortium of independent investigative centers, media outlets and investigative journalists from 20 countries. Its purpose is to educate readers worldwide on how organized crime and corruption works. 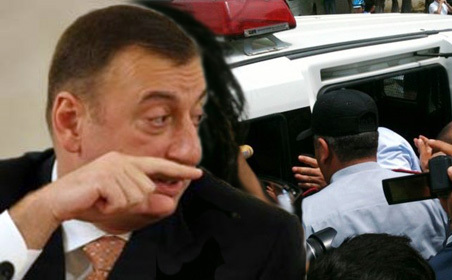 The President of Azerbaijan has been compared to a mafia crime boss in US diplomatic cables, and is referred to as a dictator by many analysts. What is clear is that the Aliyev family has been systematically grabbing shares of the most profitable businesses in the country. This year, investigative reports by OCCRP and Radio Free Europe revealed for the first time well-documented evidence that his family has secret ownership stakes in the country’s largest businesses including bank, construction companies, gold mines and phone companies. They also secretly amassed property abroad in places like the Czech Republic. 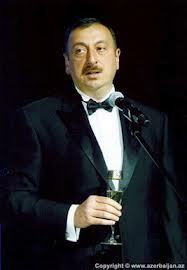 The Azeri government has responded to these revelations with silence. Aliyev’s administration also failed to investigate the harassment and blackmail of OCCRP journalist Khadija Ismayilova earlier this year. While Azerbaijan has worked hard to improve its image worldwide, this year’s reporting paints a picture that looks more like a petty dictatorship. This entry was posted on 01.01.2013 by ƏDALƏTSİZLİKLƏ MÜBARİZƏ.